Also, on Saturday morning, November 11 around 17UT, the waning crescent moon will occult the star Regulus. 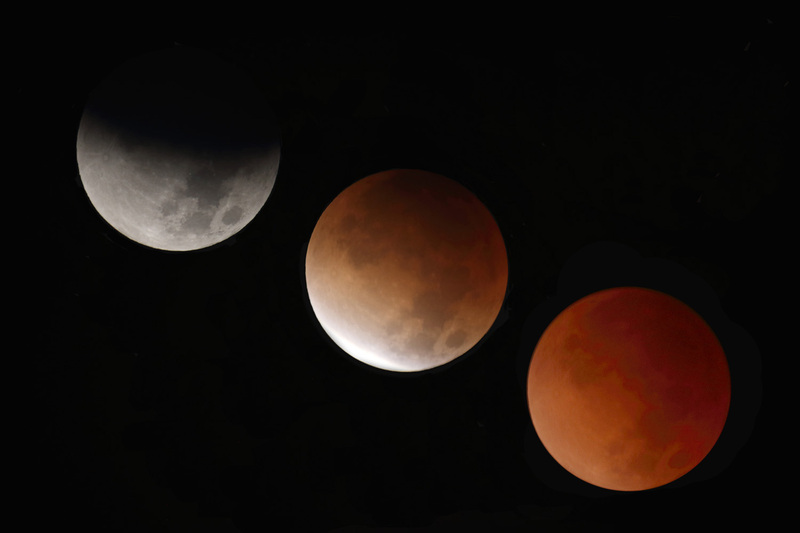 This event will occur during daylight hours for the western US, but through a telescope, with binoculars, or even just naked eye, you should be able to see both the moon and Regulus before the occultation occurs. 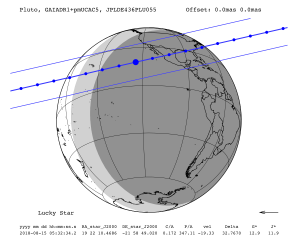 The prediction map below shows the path of the moon’s shadow. 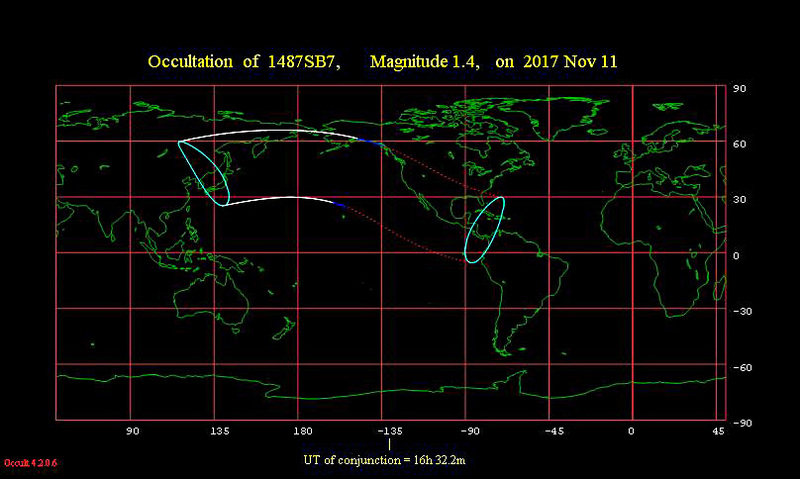 This map, along with predicted occultation time by major city, is also available at http://www.lunar-occultations.com/iota/bstar/1111zc1487.htm. On 2016, August 13 at 06:30 UT, main belt asteroid (19) Fortuna occulted the star TYC 5780-01169-1 in the constellation Aquarius. Four RECON teams and two other observers recorded the event. 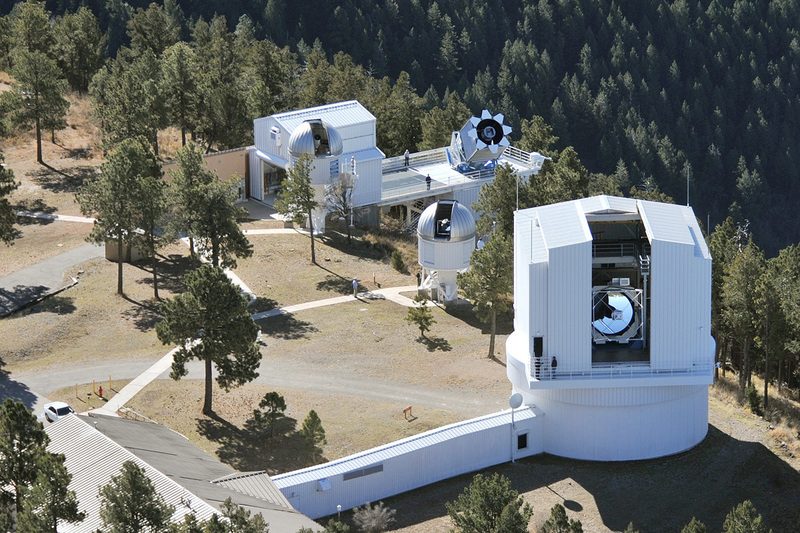 A total of five teams actually observed an occultation and one team observed a miss. 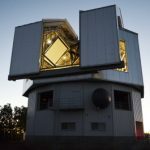 Observing a miss can be just as important as observing an occultation because misses help define the size of the asteroid. 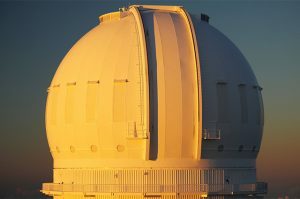 For a more comprehensive overview about the data analysis process for main belt asteroid occultations, see Tony George’s blog post from January, 2016. Here is the path for the event, which passed over the northern part of the RECON network. 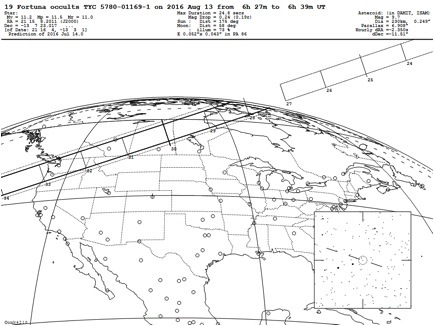 Even if you don’t have access to the Occult Watcher program, occultation announcements and maps such as this can be found at the asteroid occultation website. Here are light curves from the three RECON teams that recorded an occultation. 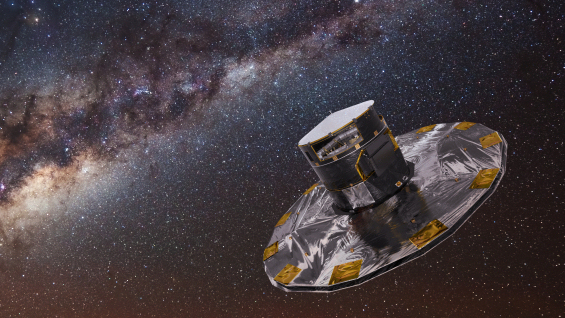 Note that the horizontal and vertical scales on each of these light curves are different. 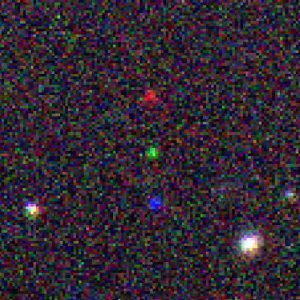 Occultation scientists, such as every member of RECON, can use these light curves to determine the disappearance and reappearance time of the occulted star. IOTA, the International Occultation Timing Association, uses these disappearance and reappearance times, along with the location of the observers to estimate the outline of the asteroid. Each of the chords in the plot below shows when and where the target star is visible. When the asteroid occults the star, there is a gap in the cord equivalent to the amount of time the star disappeared. When all of the chords and gaps are combined, you can start to see the size and shape of the asteroid. 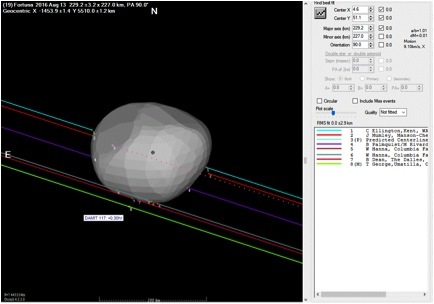 The gray area shows a model of the asteroid’s shape based on existing data. Notice how chord 1 fits the model almost exactly while chord 4, measured by RECON Ellensburg, starts and stops inside the predicted shape of the asteroid model. This could indicate a slight error in Ellensburg’s timing. But it could also mean that the actual shape of the asteroid is a little narrower along that line than predicted. Less likely but still possible, there are deep indentations in those portions of the asteroid. 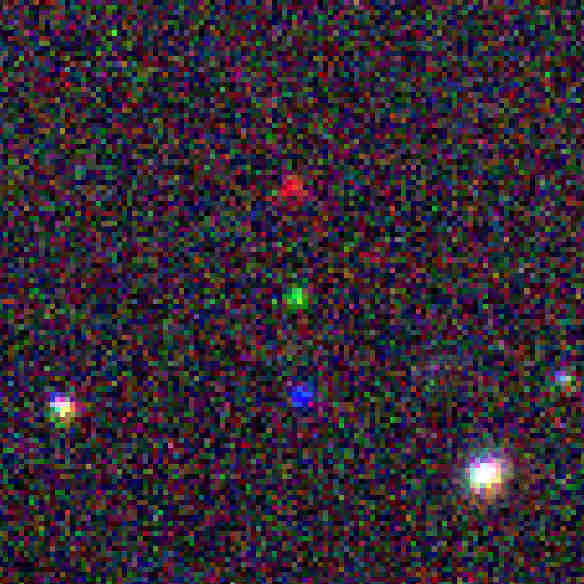 Chord 7, measured by RECON The Dalles, has a very small gap indicating that just the tip of the asteroid occulted the star. Click on the image above for a higher resolution view of the plot. 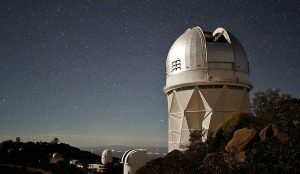 Main belt asteroid occultations are a great way to train new RECON participants in occultation science. 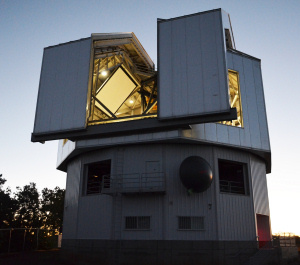 One of the main reasons for this is that you can often see the target star and the asteroid. 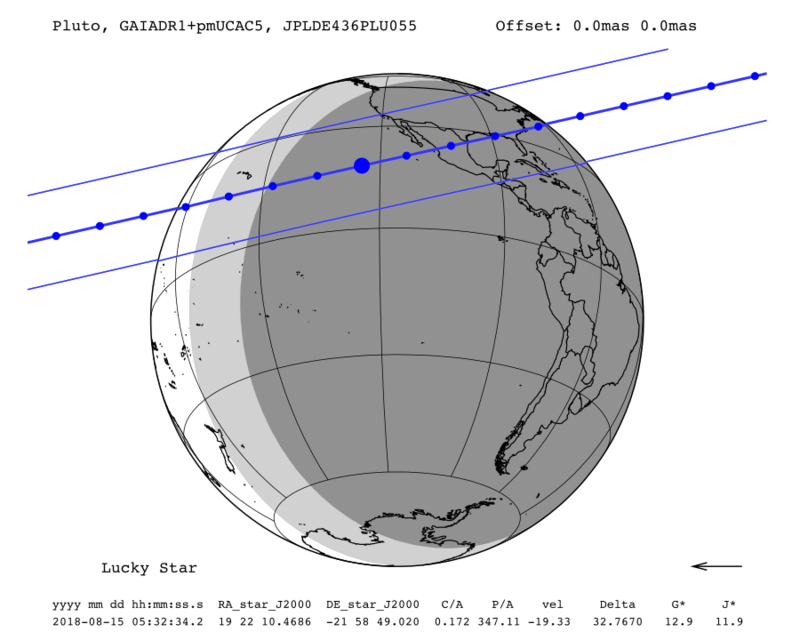 So even if your site does not record an occultation, you can still observe the dynamic nature of the Solar System by watching the asteroid move towards and then away from the target star. 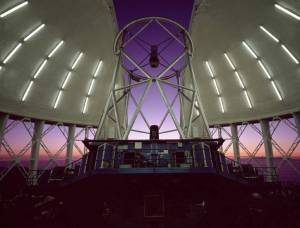 Credits: We give a big “Thank You” to Tony George for generating and extracting precise timing information from our light curves. 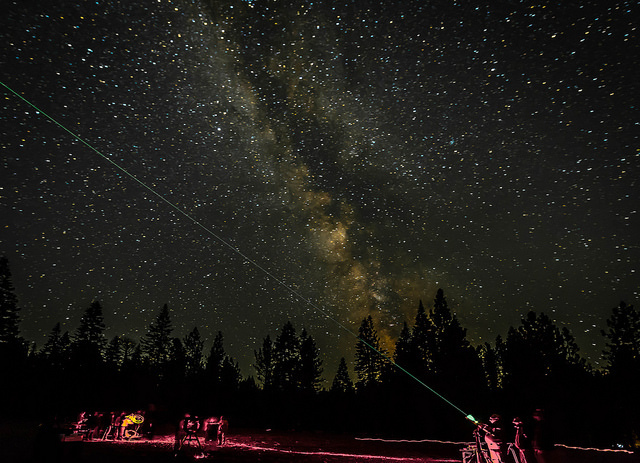 This past summer 12 RECON team members participated in the 4th annual Lassen Dark Sky Festival in August of 2015. 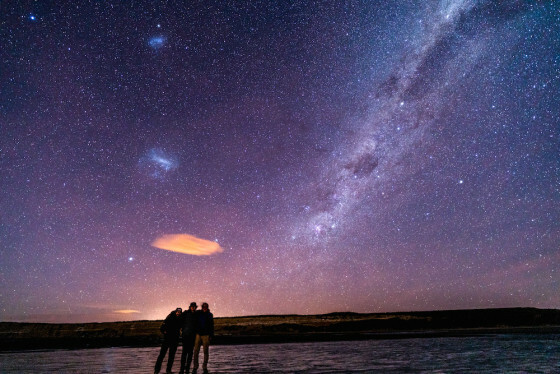 Members helped conduct stargazing and discussions about astronomy with over 4,500 visitors. 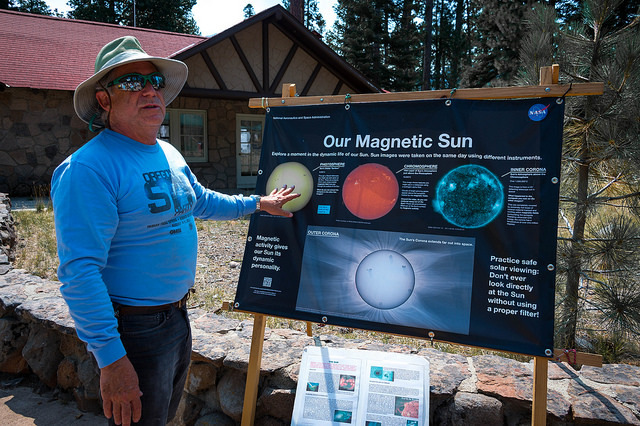 Since 2012, thousands of spectators visit Lassen national park every year to celebrate special astronomical events including the annular eclipse, the transit of Venus and the Lassen Dark Sky Festival. 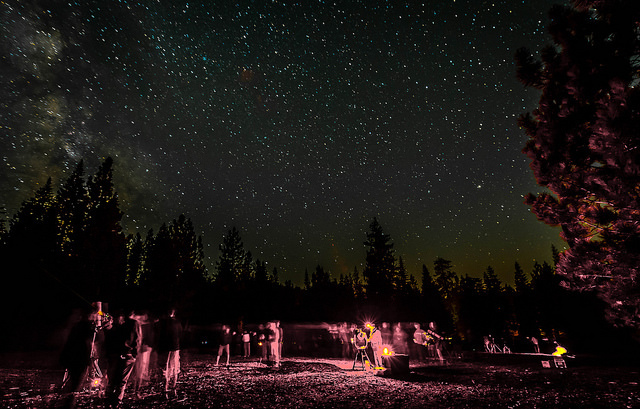 Lassen National Park is a sanctuary of natural darkness and offers spectacular views of the night sky. 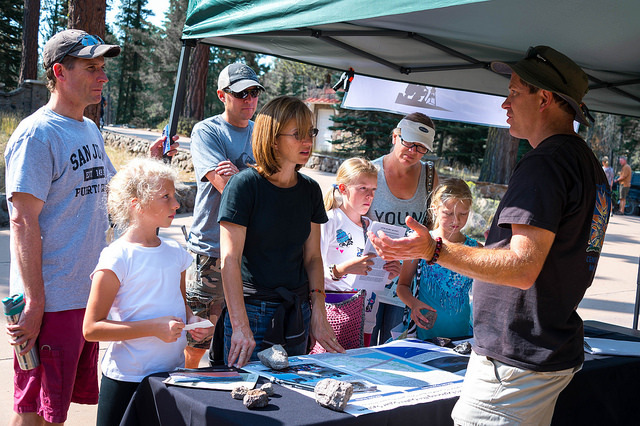 Check out our RECON Team members at the Lassen Festival. 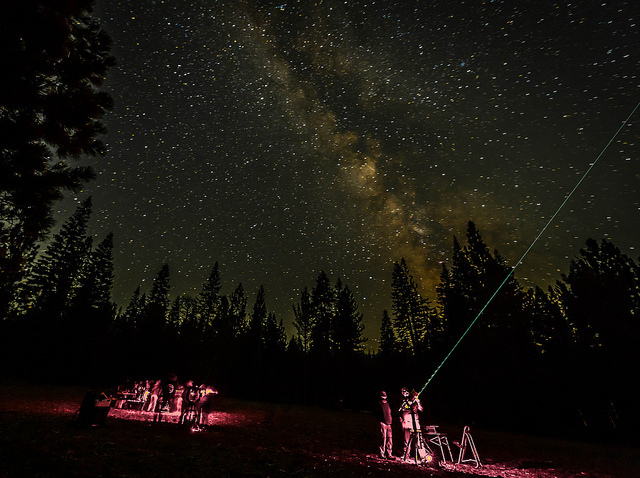 Check out more pictures of the Lassen Dark Sky Festival here.